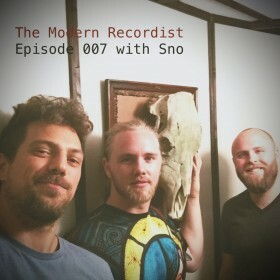 This episode of The Modern Recordist is a very special one… It’s a family oriented episode with my very own cousin, Sno! Sno is a singer/songwriter/hip-hop artist working and performing out of Nashville, TN. 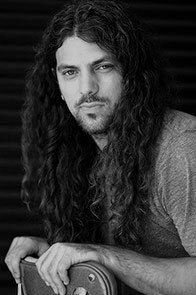 He has written and/or worked with folks such as Rob Royer of the band Bread, The Warren Brothers, and is currently doing a little writing with Florida Georgia Line. On this episode we discuss identifying your artistic vision from a songwriting perspective, re-identifying/staying true to this vision, drilling into this vision and refining it, and putting in the work – inspired or not – to continue to do the work that it takes to be a songwriter and artist, and consistently crank out material you’re proud of. We also joke around a bit and give you some insight into our family affairs. Sno plays us a few live songs as well. It was a fun episode, and great to get to spend a little time with family! If you’re new to my site (jonstinson.com), poke around and check it out. In addition to producing/recording/mixing, I spend time producing The Modern Recordist podcast, and blogging about recording. And if you’d like some easy to understand recording tips to help you make great writing demos of your newest song, I’d start with my Recording Drums 101 resource. More next week! In the meantime, go live your extraordinary life of an artistic visionary, and create something impactful in the world.